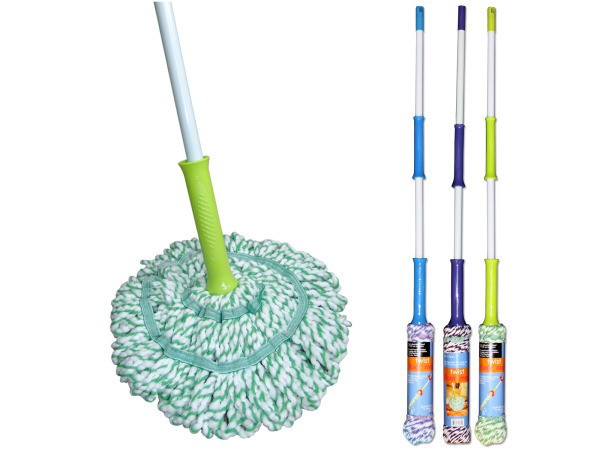 The twist floor mop has a super absorbent head, easily picks up messes and has an effortless wring lever. Mop is soft and gentle on surfaces. With its twist handle, dirty and wet hands are a thing of the past! 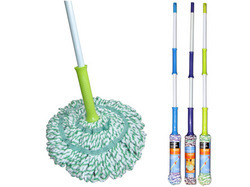 Mop is white with lime green accents. Mop is packaged loose with a wrap around card. Measures approximately 55" long with a 13" mop head.